This fascinating campus novel doubles as a formal experiment in genre mystery. The classic mystery begins with the first body – sometimes literally a corpse but always an upset in the natural order of things. The first body here is that Professor Steve Brookman is working out the best way to break up with his student lover, whose hair is indeed black. This upsets the natural order of things twice: Brookman, who seems like a nice fellow, is having an adulterous affair with an undergraduate student, which violates the rules if not the law, and we are beginning with the end of the affair, where the campus romance always begins with the beginning. We continue in this vein, first leaning on and then pushing against the formal constraints of the mystery. Stock characters appear on cue – the girl’s father is a New York cop, the guidance counselor is a former nun – but suddenly emerge as three-dimensional characters. It’s a neat trick. Must read: Josh Marshall remembers Pete Seeger. 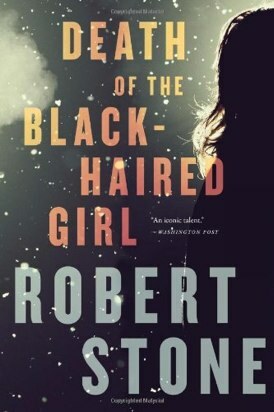 Like its heroine, this mystery is engaging, energetic, and unpolished. Maggie Hope is a young American, a recent Wellesly graduate who is looking forward to her MIT doctorate, when she is dispatched to London to sell the house she has unexpectedly inherited. She winds up stranded in the blitz, naturally, and inevitably lands a job in Winston Churchill’s typing pool. This is a fine setting, but we also have a cast of villains, plots, secret codes, and cliff-hangers that would provide ample plotting for three novels and that leave Maggy and the reader alike bemused and rather breathless. 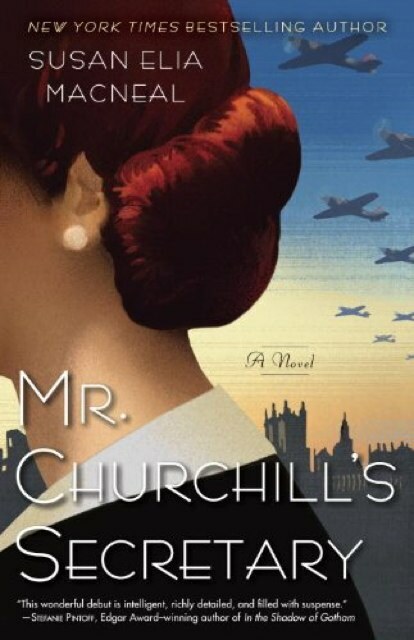 The history is pounded home – would a typing clerk really have been in the gallery for “we shall fight them on the beaches?” – as if the reader had not heard of the war; I sympathize, but novels and even mysteries in 1940 London are not uncommon, and the typical mystery reader has read a few mysteries. We’ve just been here with Connie Willis, and then with Sarah Waters, and we’ve got Simon Mawer’s Trapeze on the stack; perhaps we could take some of the more familiar elements as read and aim for something fresh. Following on from her magnificent group biography of Lincoln’s cabinet, Team of Rivals, Goodwin’s new volume looks at Teddy Roosevelt, his protégé William Howard Taft, and the talented group of journalists centered at McClure’s Magazine who were the engine the drove the Progressive movement. Like Taft himself, this book is ponderous – large in size and broad in scope — yet so intelligent and genial that it turns out to be remarkably good company. Goodwin is, I think, the only major historian of the period who truly likes Taft. The bones of tragedy are here: a great statesman betrayed by his disciple, a bitter-fought campaign between the two of them that hands the Presidency to the Democratic Party they both despised. Yet Taft did not much want the presidency, was not terribly distressed to lose it, and later he received the Supreme Court chair which was the only thing he had wanted all along. We’re having a great time backstage with Tinderbox Six. To recap, we’ve asked people to buy backstage passes if they’re interested in a behind-the-scenes look at the new Tinderbox as we gradually build out. The response was astonishingly generous; we’ve quite a crowd back there. We’ve had 26 backstage releases so far – the 27th should be ready today or tomorrow – and we’ve had lots of great discussions. I’ve been pretty busy backstage, and with Tinderbox Six of course. And it’s the season of accounting and taxes and all sorts of end-of-your administration. Sporadic posting here for a bit, but we’ll get it all done somehow. David Barnard points out that the shape of the software economy matters. If the best way to make a living is to annoy your customers, then we’re going to be annoyed. That’s pretty much what’s happened to games lately, with the shift to silly (but free) games that demand in-game purchases. Barnard’s point – and he is not wrong – is that the App store is designed to be inhospitable to well-crafted software that does important work. 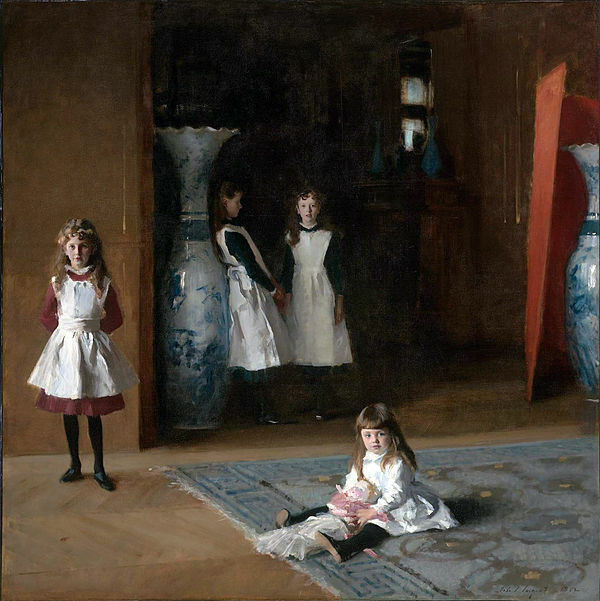 Interesting lecture last night by Malcom Rogers on “Sargent’s Sibling Rivalry”, comparing The Daughters of Edward Darley Boit (above) and his slightly later group portrait of The Wyndham Sisters. A practical question comes to mind: what are the Boit daughters wearing? Three of the daughters are wearing pinafores, which (as I understand it) are chiefly a protective garment, like a kitchen apron, meant to preserve the clothes over which they are worn. The dresses they are protecting seem fairly simple and plain, while the pinafores are not. And the most fragile part of their outfit, I presume, would be their tights, which have no protection. So, do I misunderstand the pinafore, or the dress? Sure, clothes used to cost a fortune, and even though the Boits were well off, they wouldn’t want to be constantly buying new dresses for all the girls. Or perhaps the pinafore had lost its purpose by 1882? Mona Bright, a down-on-her-luck and depressed ex-cop, is surprised to learn that she has inherited a house in Wink, New Mexico. She is even more surprised to find that Wink appears on no maps. It is strangely hard to find, but when she does find it, the people there are strangely happy. This novel has echoes of American Gods and a healthy dose of Burroughs, but what it chiefly recalls is John Varley’s Gaia trilogy – especially Wizard and Demon. Dealing with superior intelligence is no picnic, and writing about such encounters from the point of view of the inferior species is seldom very satisfactory. Bennett manages about as well as can be. 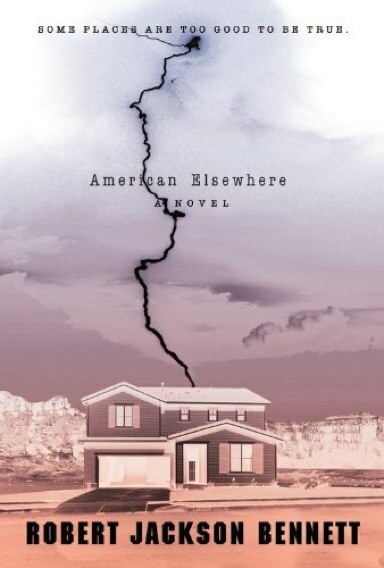 This interesting Dutch novel returns us to that modernly post-modern realm, the unreliable narrator. Our narrator here is both unreliable and unlikable, and he is determined not to enjoy the family dinner which is the entire compass of the novel. He does not like his brother, he will not like the pretentious Dutch restaurant, he will hate the check which his is determined to pick up. The narrator’s brother is a prominent Dutch politician who will soon begin an important campaign. Two couples meet to enjoy a nice dinner, and perhaps to discuss the problems of their teenage boys. 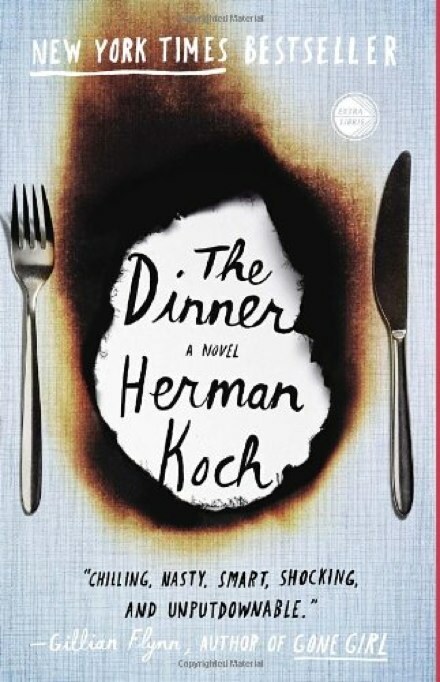 The narrator thinks that this dinner will mark the end of a happy family, happy like all other happy families, because his family is in fact becoming unhappy in its own distinctive way. He is not wrong. 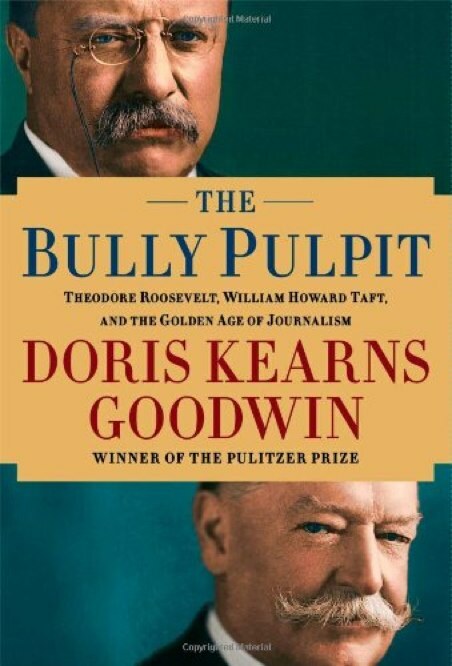 I’m reading Doris Kearns Goodwin’s The Bully Pulpit, an ambitious group biography of Teddy Roosevelt, William H. Taft, and the group of writers S. S. McClure gathered for his magazine: Lincoln Steffens, Ida Tarbell, Upton Sinclair, and the rest. It’s interesting. But there’s an awful lot of men behaving very badly, isn’t there? What I don’t think I see is a drama, not until the end, anyway. There’s some decent stuff toward the end.